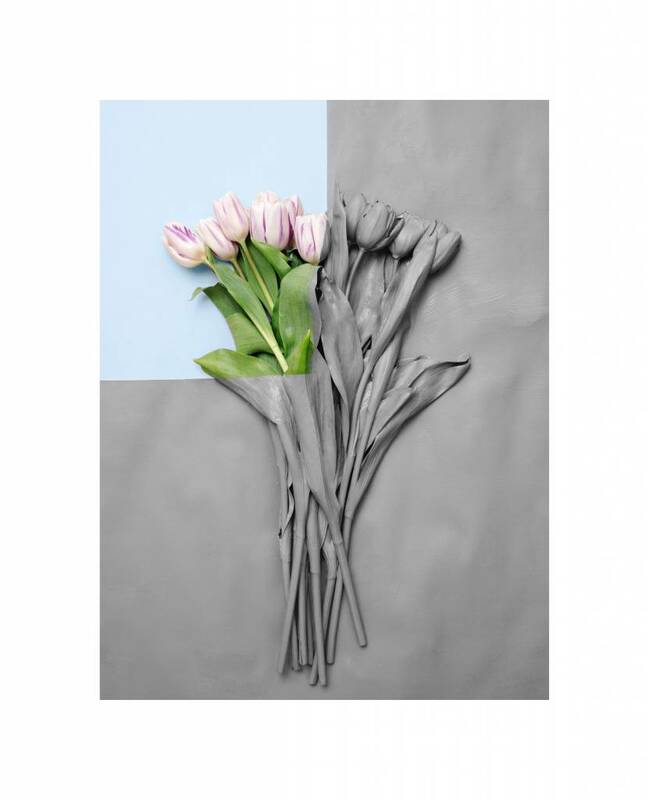 This bouquet of tulips was photographed in 2013. By painting three quarter of the image in one colour, Ina Jang questions two- versus three dimensionality. To create this image Ina Jang actually painted the flowers and the coloured paper with grey paint. 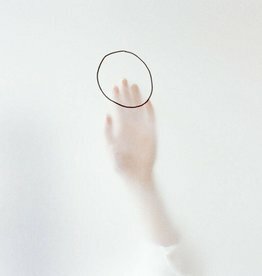 The work of photographer Ina Jang, which is profoundly influenced by fashion and design, exhibits a unique aesthetic, one that has been described as dreamy, surreal, minimal, and light-hearted. Born in South Korea in 1982, Jang relocated to New York to pursue her BFA in photography from the School of Visual Arts. In 2012, she finished the school’s MPS program in fashion photography. 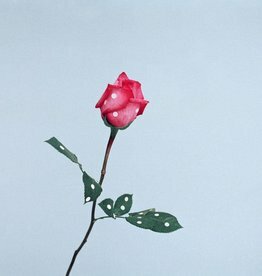 While Jang’s photography is closely related to fashion imagery, her work is differentiated by a playful exploration of dimensionality. More specifically, Jang often obscures parts of her models’ bodies—either with items such as purses and shoes or flat pieces of paper—thus emphasizing the two-dimensionality of the photographic medium. Jang’s work has been highlighted in publications including The New York Times Magazine, British Journal of Photography, and Dear Dave Magazine, among others. Her work has been exhibited internationally, and she currently live and works in Brooklyn, New York.